On October 21, 2014 Indian Army released a Request for Information (RfI) from vendors willing to undertake Comprehensive Upgrade of BMP-2/2K, covering Mobility, Fire Power and Survivability. The upgrade will be applied to approximately 2,600 vehicles comprising existing inventory as well as ICVs to be produced in the future. Upgrade proposals would be evaluated by a Technical Evaluation Committee (TEC) to ensure compliance with RFP. The equipment of all TEC cleared vendors would be put through a trial evaluation in India. A staff evaluation would be carried out by SHQ to analyse the result of field evaluation and shortlist the equipment for introduction into service. The upgrade must not compromise the existing amphibious capability of BMP 2/2K, or their ability to operate in varied climatic and terrain conditions varying from extreme hot desert conditions to extremely cold high altitude regions. Any increase in weight of the APC due to the upgrade must be compensated by a more powerful engine that fits into the existing engine compartment. There should be no reduction in internal space. 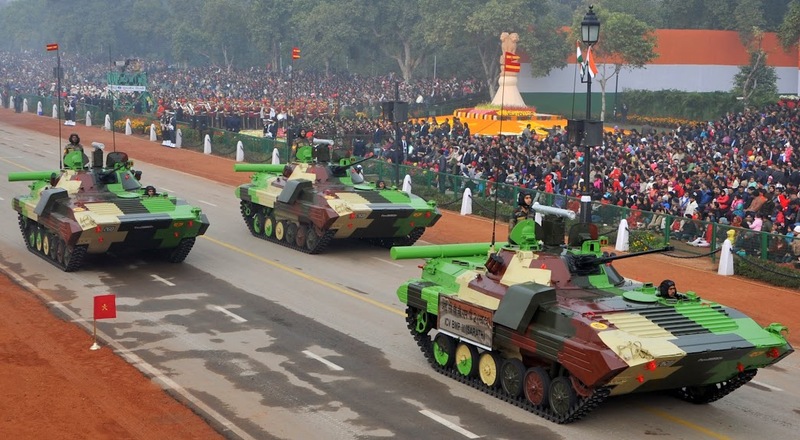 The Indian Government had earlier announced that the Indian Army would be upgrading it's entire fleet of approximately 1,900 Infantry Combat Vehicles (ICVs) comprising BMP-2/2K to BMP-2M standard to enhance the fleet's firepower and lethality. Upgraded ICVs will be fitted with the latest generation Fire Control System, Twin Anti Tank Guided Missile (ATGM) Launchers, 30 mm Automatic Grenade Launchers and Commander's Thermal Imaging Panoramic sights. In addition, they will feature better observation and surveillance, night-fighting capability and fire control. They will be powered by a new 380 HP engine to enhance the ICVs’ cross-country mobility, flotation and gradient negotiating capability. Existing BMP-2s which equip the Indian Army’s Mechanized Infantry regiments are powered by 285 HP Russian-origin UTD-20 285 engine, which limits their versatility. ICVs are used for breaching enemy defenses and transporting troops behind enemy lines while keeping them safe from small arm fire. IDP Sentinel members can read details about existing offers from competing vendors for upgrade of BMP-2 at the link below.